The Lenovo A2010 is a dirt-cheap 4G LTE smartphone for those who desire awesome data speeds without draining their wallet. The dual-SIM phone features an FWVGA display, a quad-core processor and recent Android Lollipop software. You can easily tell that Lenovo A2010 is an entry-level smartphone from its looks with a plastic chassis. It measures 9.9 mm in thickness and weighs a manageable 137 grams. The Lenovo A2010 sports a 4.5-inch diagonal display with an FWVGA resolution of 480 x 854 pixels. A pixel density of approximately 218 pixels per inch is not exactly awesome, but should be decent for single-person viewing. In the camera department, the Lenovo A2010 delivers just about what you would expect of a budget smartphone like this one. It packs a 5-megapixel camera with LED flash on the rear and has a 2-megapixel sensor on the front for selfie takers. Onboard storage capacity of 8 GB should suffice for most users. If you ever have need for extra storage, you can add up to 32 GB more using a microSD card. The Lenovo A2010 is powered by an entry-level MediaTek MT6735M processor clocked at 1 GHz; the quad-core design should enable acceptable level of multitasking. The chip is paired with RAM of 1GB capacity and a Mali-T720 GPU. The Lenovo A2010 runs on Android 5.1 Lollipop operating system which, at this time, is still impressive to find on a device this cheap. Power is supplied by a 2000mAh Li-Polymer battery, which should last more than a full work day on a charge. The main highlight of the Lenovo A2010 is its 4G LTE connectivity support which allows users enjoy blazing connection speeds; the phone is probably the cheapest with this feature. Connectivity options also include microUSB 2.0, Bluetooth 4.0, 3G and Wi-Fi 802.11 b/g/n with hotspot. The budget phone supports dual-SIM feature to enable you to get the best deals from two different mobile networks at the same time. 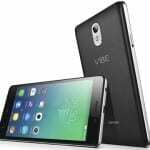 Lenovo A2010 is now available in Nigeria. You can buy the affordable smartphone at leading online stores in the country. 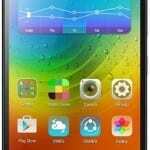 Lenovo A2010 Price in Nigeria ranges from N21,000 to N30,000 depending on your location in Nigeria.